This is the super exclusive and latest Aurora limited edition. Made for Spain. Made of olive Auroloide with an 18K gold nib. Only 150 units available. 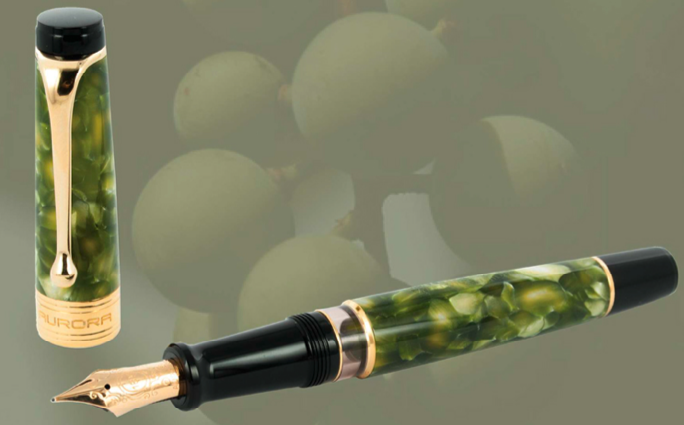 Kenro has been able to acquire 75 of these stunning pens for the US.